The heart of the matter lies in the answer to a simple question, which is quite common when conducting an interview, of course. But in this case, it’s Youssef Tohme asking me the question, not the other way around. I’m not used to being on the receiving end of questions when I interview people, particularly philosophical ones, and I’m not sure how to answer. We’re not discussing the relationship between spirit, soul and body. 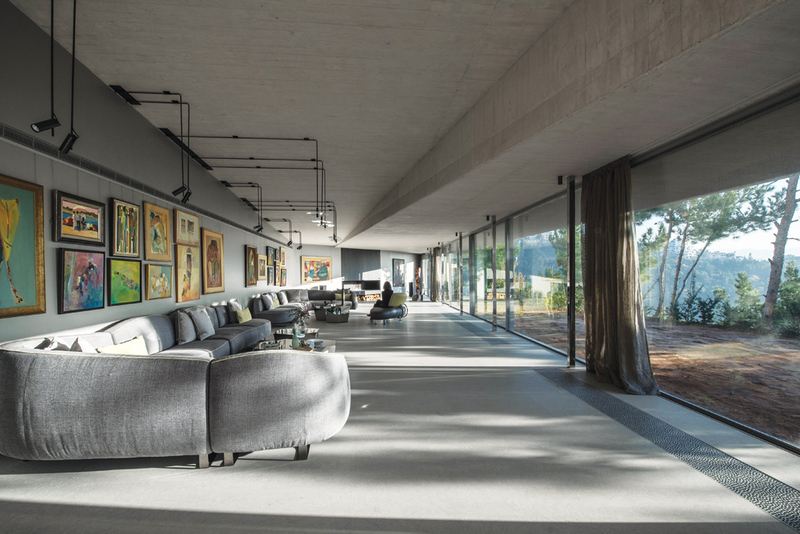 We’re talking about concrete — and why Tohme chooses to use it in so many of his buildings. But his allegory makes his point eloquently. Concrete serves a dual purpose. In Tohme’s buildings, it is both structural and aesthetic — the moral core and the physical exterior. For him, designing a building is like creating a self portrait. The architect, he says, is always reflected in his work. 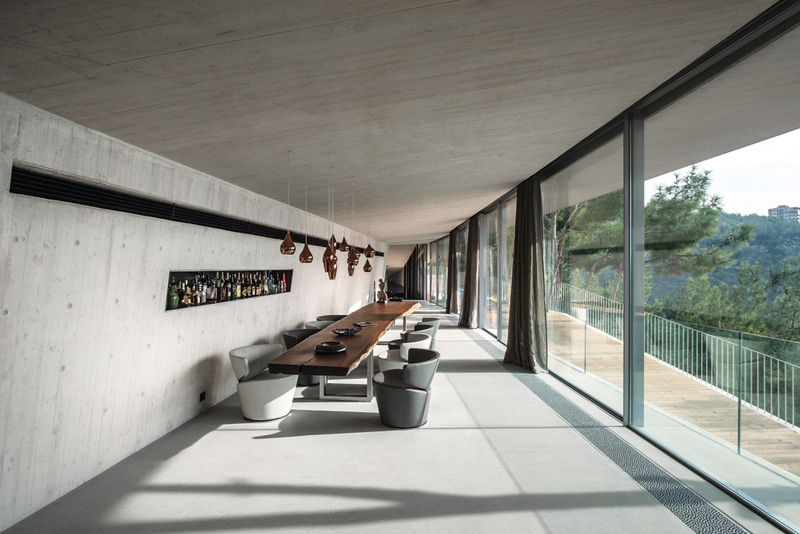 Having graduated from the École d’architecture de Paris-Villemin in 2004, Tohme worked for some years under Pritzker prize winning architect Jean Nouvel, before leaving in 2008 to set up his own firm, Youssef Tohme Architects and Associates (YTAA). 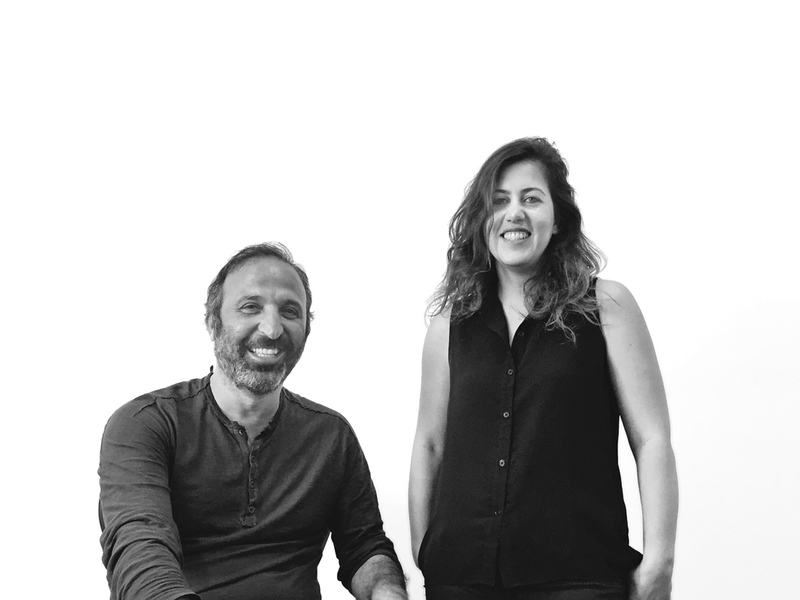 We’re joined in our interview by his partner and general manager Anastasia Elrouss, who graduated with a degree in architecture from the American University of Beirut and went on to work at Jean Nouvel’s Paris practice, where the two met. Tohme’s buildings seek a delicate balance between openness and intimacy, or insularity, thwarting preconceptions by creating one mood on the outside and another within. He likes to respond to questions with more questions, in architecture as well as dialogue, and that’s partly what led him to set up his practice in Lebanon. Tohme’s own projects play with Lebanon’s contrary spirit. 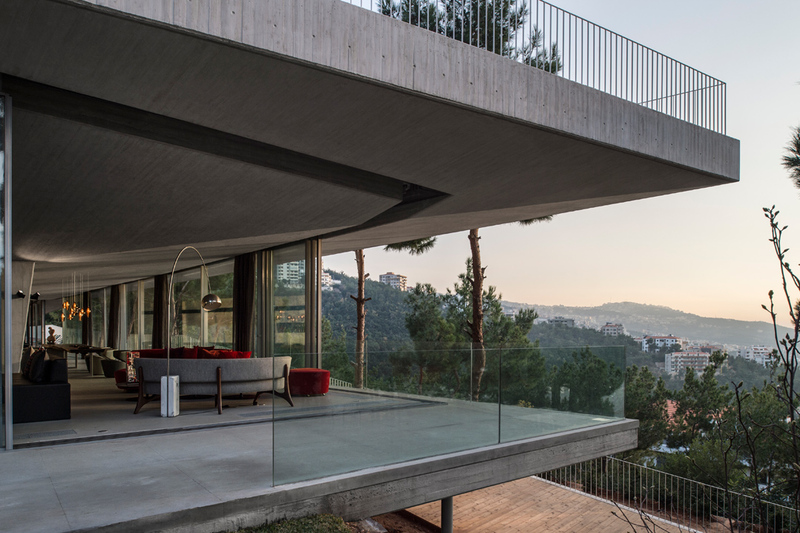 Take Villa T, for instance, a private residence in the Lebanese mountains. Tohme chose to design the building so that it has two simultaneous identities. From one side, it blends seamlessly into the landscape, seeming to flow out of the earth on which it stands in an uninterrupted sweep. 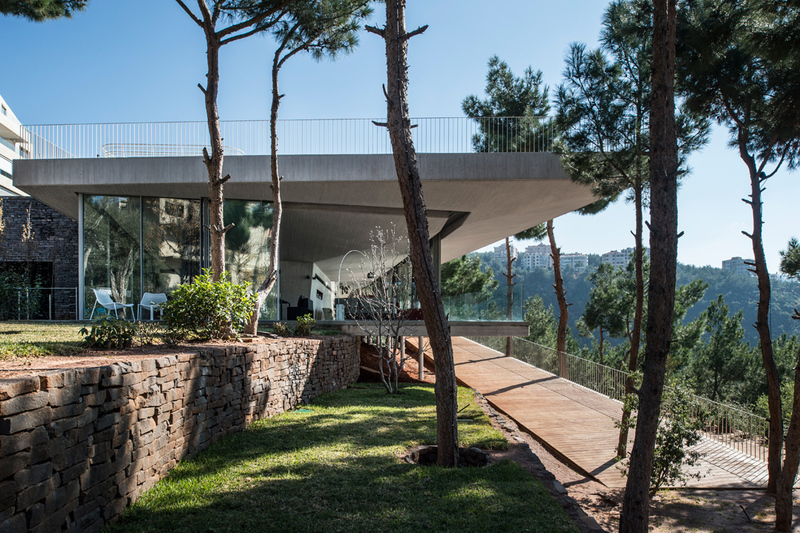 From the other side, its dramatic cantilevers jut out abruptly over the surrounding pine forest. Though Tohme is perhaps best known for his work on the Campus of Innovation, Economy and Sport at Saint Joseph University, in collaboration with 109 Architects, most of his local projects are for private clients. Currently, he is working on two characteristically contradictory private buildings. 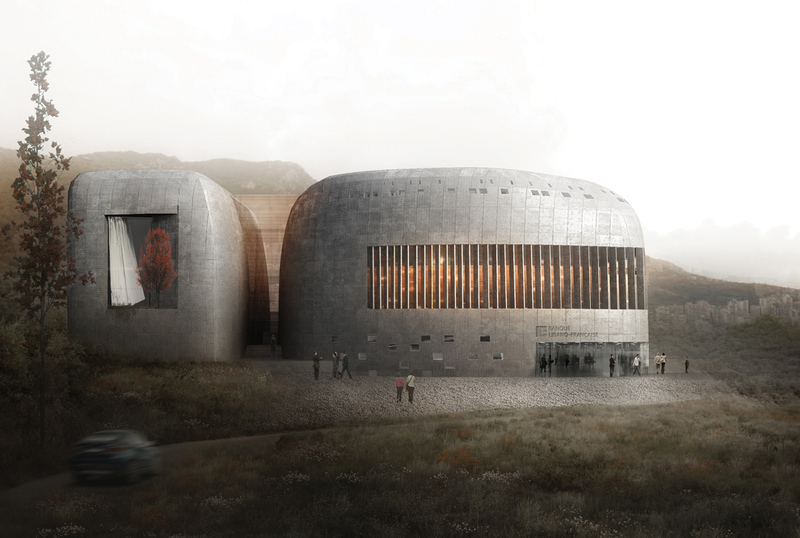 Construction is about to begin on a design for Banque Libano-Française’s Disaster Center, located in Ghazir. The building is intended to safely house the bank’s headquarters in the event of a war, and also to protect the staff and their families. Expanses of concrete form bunker like curved walls that resemble the defensive shell of an animal. On the inside, however, the building is airy, suffused with light and connected by a central circulation system that rises four stories high and descends a further four stories beneath the earth. By contrast, the apartment building Tohme has designed for Ashrafieh strives to be as exposed as possible to the outside world, all but abolishing the necessity for a traditional façade. By stacking floors vertically around a central core, Tohme has created a great deal of flexibility when it comes to the layout of the 16 apartments. Interior green walls and terraced gardens ensure residents feel connected to nature, while the exterior walls are set five meters back from the edge of the building, creating a sense of privacy from overlooking neighbors. Meanwhile, Tohme is working on his most ambitious project to date. Having won a competition organized by the municipality of Bordeaux in 2013, he is designing an entire quarter of the city, extending over 60 hectares. Located on the right bank of the Garonne River, Brazza Nord used to be an industrial area. Close to the heart of the city, which lies just across the river, the quarter is near a large public park and it is this green space that has come to define Tohme’s approach. His design seeks to connect residents to the nearby river and park via three strips of green space 40 meters wide and 500 meters long. Here, Tohme is moving away from his signature concrete to work with metal cladding, a nod to the quarter’s industrial past. The quarter is also designed with those in need of affordable housing in mind. Tohme and Elrouss have approached this by allowing each resident to buy not one apartment, but one “volume,” priced by the square meter. These volumes can be divided up by adding a slab to create two floors, thus doubling the size of the space, whenever residents have the money and the inclination to do so. If Tohme’s practice is clearly at home with Lebanon’s contradictions, he appears to revel in the challenge of seeking new ways to confound expectations in his work, which has proven to be versatile according to the context. Even with several of these high profile international projects on the go though, he’ll tell you that he is still staunchly committed to local projects, offering a ray of hope for those who fear the eventual loss of Lebanon’s wealth of talent overseas.